Naomi Elster tells The Incubator all about the wonderful work HeadSpace is committed to. ”There is a dearth of reading material in hospitals, and we set up HeadSpace, a literary and artistic anthology, to help remedy this. Reading is an ideal entertainment to provide to wards as patients can choose to engage or not, a book or magazine can be stopped and restarted, and it doesn’t disturb others in the ward who might want to rest. Even with the best care in the world, hospitals can be stressful and lonely places and it is important to provide patients with a distraction to help them cope with the anxiety that can result of being there. However, with Irish hospitals currently so understaffed and under-resourced, hospital staff don’t have the time to organise reading material and libraries themselves, which is why we set up HeadSpace. Reading something that reflects your own experience can make you feel less alone, remind you that there will always be people who understand. Then, as well as it being a safe avenue to communicate what you’re feeling, writing, and indeed reading, can allow us to escape from whatever stresses we might find ourselves in for a time, allow us to dream. All of these factors come together to promote positive mental health, and recovery from mental health difficulties and mental illness. Within a few months of our first issue being launched in May 2013, all of our copies had been distributed. We received very encouraging feedback praising both the content of the magazine and the idea behind it, but best of all were the messages from people who wanted to let us know that the magazine had helped them through times of difficulty, given them some sense of hope. We have copies in hospitals, day hospitals and support centres in Dublin, Cork, Carlow, Kilkenny, Laois, Limerick, Mullingar, Wexford and Wicklow. We even have some copies distributed in the UK. A full list of all the places with copies of either Issue 1 or Issue 2 can be found on our website. 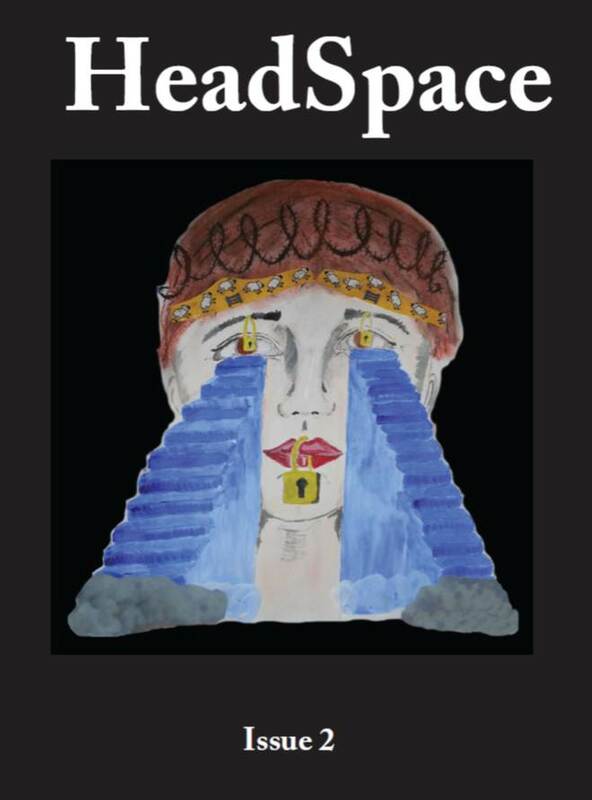 If anyone would like to suggest somewhere else to distribute to, request copies for their organisation or offer to do some voluntary work in terms of helping us to distribute copies, fundraise or raise awareness about the project, we’d be delighted to hear from them at info@headspace-magazine.com.